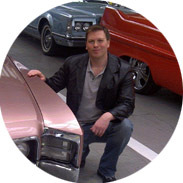 Torque American, Classic American Cars, New entertainment show for free!! Visit our gallery page to see images of classic American cars we have found on our travels around the world. Then just click the link below and you can download our free wallpaper gallery here. YOU CAN ALSO DOWNLAOD THE BEHIND THE SCENES PICKS HERE. 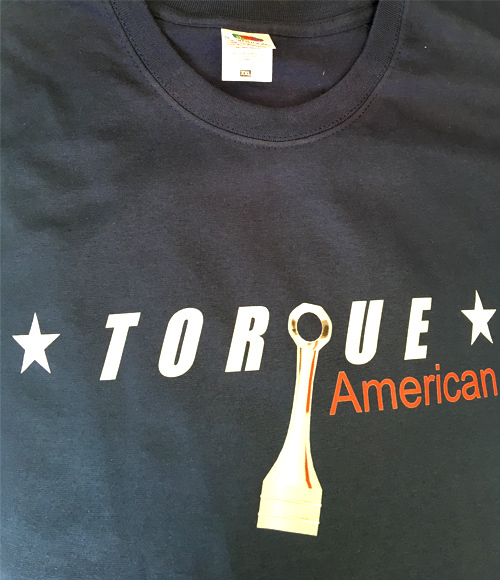 Torque American is a Factual / Entertainment series about people who love American Cars all over the globe. We follow the adventures of Karl Baumann as he struggles to finance the restoration of his dream 1970 Dodge Charger but we also examine other people's stories along the way. The series is designed to run in sequence, you can access it below along with other shorter clips. Karl gets a little tipsy at a restaurant and buys his dream car, a mark 2 Dodge Charger from 1970. Karl gets more than just a look at his project dream car, the 1970s Dodge Charger! Karl's dream car, in need of a lot of work, his newly purchased 1970 Charger arrives in the UK. Karl sells the seats from his 1970 Dodge Charger to a very interesting classic car enthusiast in Yorkshire, James. Karl finds a kindred spirit, workshop wizard Christian Gaunt, who got into Dodge Chargers the same way he did! Master car restoration expert John Castleman of JC American Autos takes Karl through the process! This immaculate 1967 Mustang GT was restored in Texas before it was imported and then purchased by Tessa Hood. Fast and Furious Dodge Charger - Richard Rawlings - Hard Up Garage - Karl meets Sam & Derek Hard of "Hard Up Garage". Horsham AMERI CAR NA Best car show EVER? - Episode 8. 1970 Dodge Charger Ebay Purchase evaluation Torque American . KNIGHT RIDER KITT Pontiac Torque American. This is from 2017 when John explained how expensive and long a restoration can take. The MMA parade around Brands Hatch to commemorate the 50th year of the MK II Dodge Charger!! Horsham Americana, Brits go crazy for the american muscle cars in Horsham check out Episode 8. More Episodes are on the way watch this space as we will upload more videos for your entertainment soon. We can notify you when we make more Torque American episodes, all you have to do is contact us. Click the link below and fill out the webform. 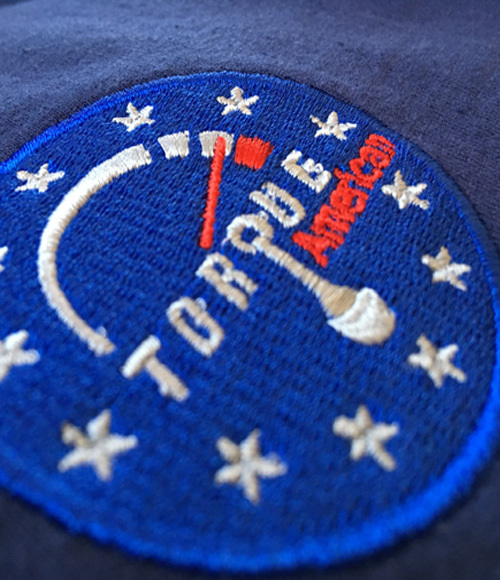 Torque American is all about the passion different people have around the world for Classic American cars. Torque American is a series of films that we have placed on our own YouTube channel. Cars are driving & parking themselves nowadays but the people we have found in Sweden, Germany, the UK and beyond really appreciate American vehicles with their amazing styling and buckets of soul. These cars are FAR from fuel efficient and they’re simple compared to what’s on the road today but they are from a bygone era when fuel was cheap and being BIG was best. Through these vehicles the American Dream lives on – but it isn’t ONLY in America as you will see! John is well known on the UK Classic American scene. 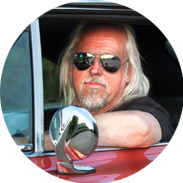 John got into American cars in the late 70s and his facility is full of Classic American vehicles he has been entrusted to restore back to their former glory for friends and clients alike. Undoubtedly one of the top restoration experts for American vehicles in Europe, John has also spent 27 years restoring a 1970 Plymouth Superbird. This rare and historic vehicle has garnered lots of interest in the UK & abroad and it’s superior immaculate condition is testament to John’s tenacity and skills. A plain speaker, John sometimes has to keep dreamers like Karl in line and explain the correct pathway to renovating cars is expensive and LONG. Mike has always loved cars. His first American Classic is a 1957 ford Thunderbird he purchased from Mike Brewer on the popular Discovery show ‘Wheeler Dealers’. Mike then bought a one of a kind 1972 Mustang, made right hand drive for the then head of Ford. But arguably his favourite EVER car is his black 1969 Dodge Charger. Mike and Karl and big friends and it’s because Karl got envious of Mike’s Charger that he wanted one so badly. Mike loves doing car cruises and shows all over the UK but was also in Sweden for Power Meet with Karl. 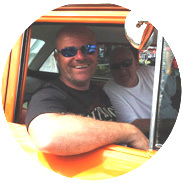 Chris is another well renowned car restoration expert, he’s based near Doncaster and he fell in love with Dodge Chargers through TV and films, just like Karl. The difference is, Chris has the skillset to indulge his passion. Chris paid “strong” money for his 1968 Charger, which was formerly owned by a celebrity, it was in good condition but after a few years he decided to strip it down and do a ground up restoration and return it to it’s original colour, blue. Now Chris is aiding other USA car owners who come from far & wide and who sometimes wait months for Chris to fix their pride and joy. A family man, Chris is imparting his love of cars (and in particular American cars) to his son, just like his father did with him. 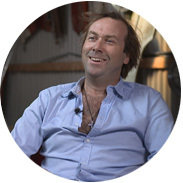 James is a renovation hero! 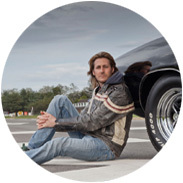 He purchased his first dilapidated Cadillac when he was only 14, after discovering a passion for fish tails and chrome while watching the film “Christine”. Over the years James has restored and cleaned up a multitude of Caddys, often putting into them far more money than he got back when he sold them on. Based near Hull in the UK, James has had to go to extreme lengths to find and retrieve parts, as well as strive hard to keep costs manageable. One of his favourite sayings is “…it’s only original once” as James much prefers to correct and repair rusted bodywork than get new panels, which often aren’t made anymore anyway! Lola gets her passion for American vehicles from her father. But as John Castleman has said “Lola knows far more about cars than most men”. Lola loves her rabbits but she has a small collection of vehicles including 1 USA car, a 1972 Chevy Nova she recently imported from America. Lola also helps out as “pit crew” for Don Scott’s Superbird and is so into cars she has a tattoo of that Superbird on her arm. Top girl !! Derek is a fabulous fella who almost turned away from owning American Cars when he was attacked outside a kebab shop and then months later had his garage and American car set alight. But with great support from the USA Car owners all over Britain, he found the strength to keep a hold of his pride and joy, an award winning 1968 Dodge Charger which was restored after the fire. A senior figure in the Mopar Muscle Association AND the UK scene, he has strived to help others with their cars on many an occasion. 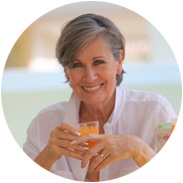 Tessa has been a model and actress for decades but she was introduced to piston heads at a young age when she lived in a pub near the Goodwood racetrack. 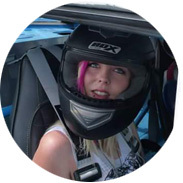 In her formative years she saw Sir Stirling Moss, Phil Hill and some of the biggest names in motorsport in her parent’s hostelry. Tessa has a big passion for cars. She really enjoys days out in the AC Cobra that she and husband John have but they each found it limiting in a few areas. So for Christmas 2016 Tessa bought John a 1967 Mustang GT convertible, which has been upgraded since it’s importation from Texas. They both really enjoy driving such an American icon. This Mustang has overdrive and a long range fuel tank so road trips to stunning areas of France, like Provence, are now easier. Visit our gallery page to see images of classic American cars we have found on our travels around the world. Then just click the link below and you can download our free wallpaper gallery here. 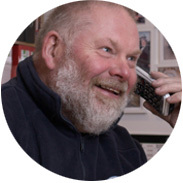 By contacting us and giving us your email address we can then notify you of new episodes as they become available. We will not pass on this or any other information to anybody else so you can be sure that your data is safe. Please contact us and give us feedback about the shows we have made for you and what you would like to see.